Hover your mouse over an activity and click for more information. Regular Hook-Ins, Mondays, from September to May. Saturday Hook-Ins, the third Saturday of the month, all the year. 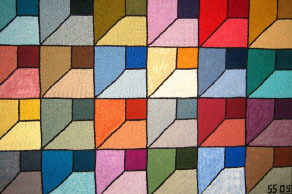 A Calendar of Events in Montreal, Quebec, Ontario or everywhere in Canada and USA, related to Rug Hooking and Fibre Art. If you're interested to share Rug Hooking Events with us, please use the Contact Form.